A commitment to high quality and best service support to satisfy customer needs and strengthen our Tjokro Group is the main principle of our company. Established in 1948 at Surabaya. We started the business with traditional ex. WW II machines and dedicated workers to do service for making and repairing machine parts for industrial sector in newly independence Indonesia. Tjokro dedicated in this business, we keep improving ourselves to strive becoming the most important player in this business. A lot of innovation and improvement we make to the company so we can give the efficient, reliable , and good quality and best services to our customers. As we are commited to give the most efficient services, we evolved from one to more than fifty branches all over Indonesia to put our services nearer to the customers. We do services to various types of industries such as mining, oil & gas, steel, pulp & paper ,cement, power plant, petrochemical, marine, and many more industries. Tjokro Group also put the effort on the manufacturing, as we produce lots of parts for automotive, agriculture, and heavy equipment for major global brand. 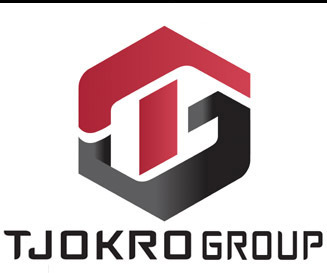 Tjokro Group has integrated manufacturing plants in Pulogadung Jakarta which serve as one stop manufacturing area. More than half centuries went by; our company still keep improving ourselves for the customers. We keep up with new technology for machinery, tooling and database system and educate our fellow employees to higher knowledge of the lastest technology to make ourselves to be more efficient, reliable, and good quality to do services for our customers. We are proud that we have our customer loyalty and trust so we can survive this business and grow with it for many years. We are proud that we do services to the major industries in Indonesi and many of our products use world wide. We will not stop improving as we aim to be the global player in this business. As Mr. Tjokro CEO and founder of the company said "Do the job with your heart and passionate care" Tjokro Group ways will always follow the direction of our founder wich translates to never stop improving ourselves to achieve out motto of Total Service for You.